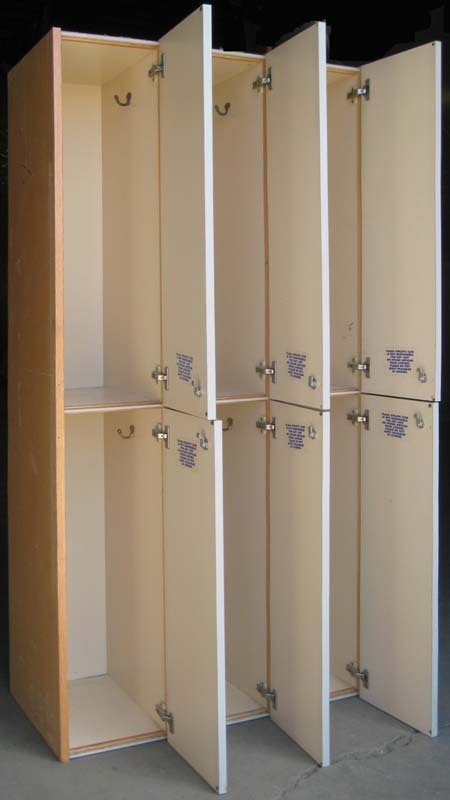 These Wood Lockers With Doors are available on www.buyusedlockers.com where they have a huge selection to choose from if we need additional supplies. 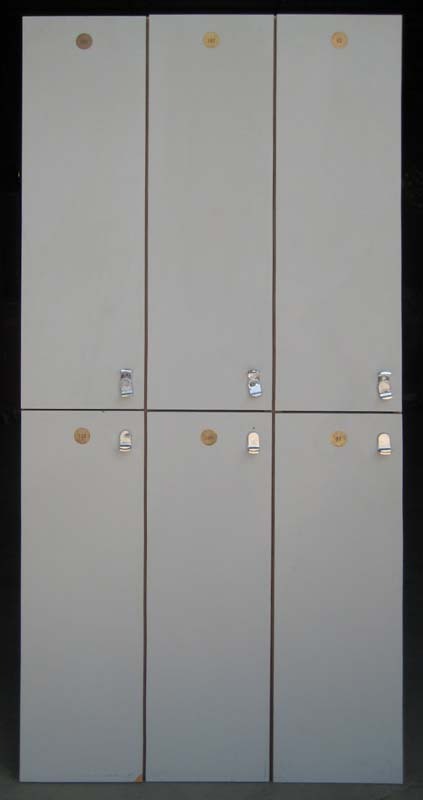 Used wood laminate lockers for sale! 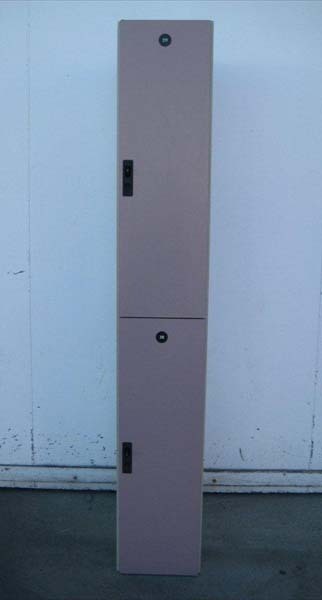 We have 10 compartments that are 11.5" wide x 19" deep x 37" high in 5 columns that are 72" high overall. Two of these columns have damage to the doors, but are still fully functional. These are left handed and use a pad-lock to lock. 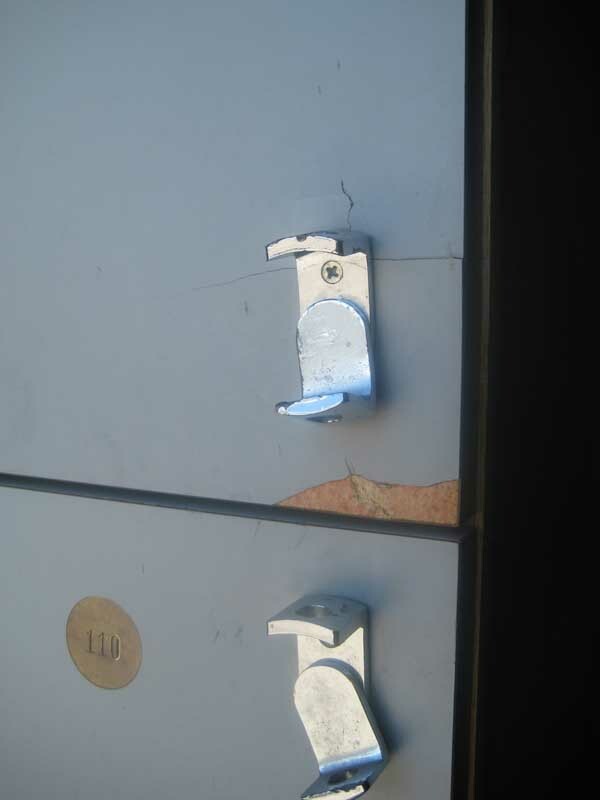 Left handed as these have hinges of the left hand side as you face the locker rather than on the right hand side as is standard. 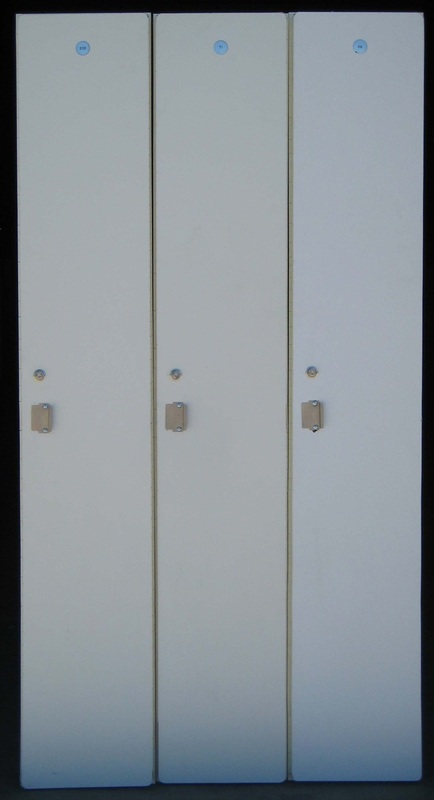 These fine quality storage units will add class and style to any locker room and are commonly found in upscale gyms and fitness centers and spas. 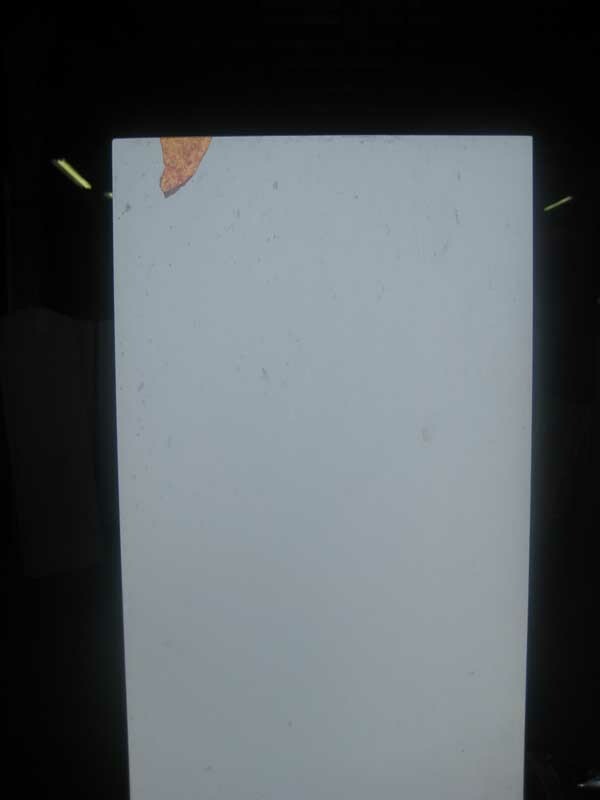 Two tone in color with gray doors and white bodies and come complete with number plates.